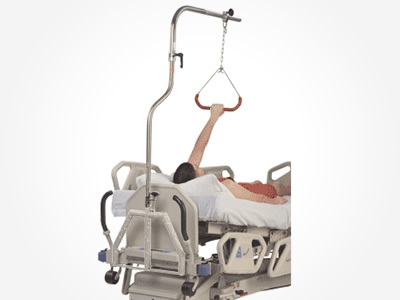 The Mizuho OSI Patient Helper requires an adapter bracket P/N 3427-1 to be mounted to the bed. Q: What do I need to attach a Mizuho OSI Patient Helper to my Hill-Rom TotalCare? A: You need Mizuho OSI Bracket P/N 3427-1. This bracket comes standard with the 3427 Patient Helper. A: 200 lb. (90.7kg) safe working load. Remember that Patient Helpers are assist devices and are not intended to suspend a patient off the mattress. 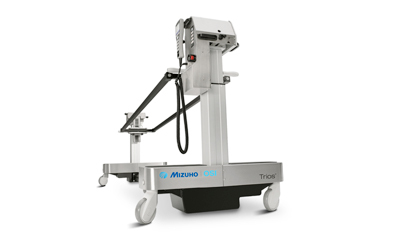 As such, larger patients receive benefit from the Mizuho OSI Patient Helper. As an example, a 300 lb patient applying 2/3 their body weight to the trapeze will receive the benefit of repositioning in bed, assisting bed egress or patient mobility.